I don't have anything to blog actually. Really. Just a little postponed introduction. Meet my lovely roommate, Jeann. Got ourselves a really needed laugh this Friday afternoon. 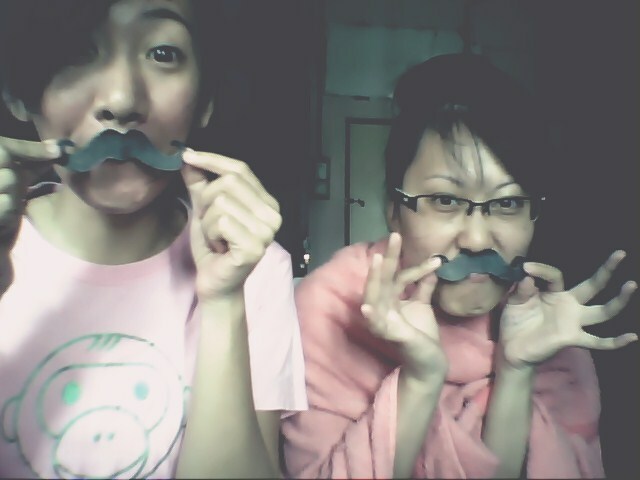 Cut myself a nice mustache, took a pic, cut another one for my roomie here and then yea, the cam whoring begins. I can't stop laughing while capturing all the pictures. There's always something crazy to do when you're bored. Right now, mine is going to be hitting the pillow and sleep.